The GOP’s obsession with crushing the poor could create more economic woes. Which seems to be just what they want. Actually, there’s plenty Republicans could do to hurt the economic recovery. And they’re trying their darndest. Rep. Westmoreland was talking about shutting down the government if Obamacare isn’t defunded which would, in fact, increase the deficit and hurt the economic recovery. More people buying health insurance means more business for insurance companies, hospitals and care providers, and that’s just for starters. You know what else would make the economy worse? Cutting food stamp funding to an estimated 3.8 million people. Yet that’s what many Republicans want to do, with legislation sponsored by the patron saint of slashing and burning the safety net, U.S. Representative Eric Cantor (VA). The legislation, which is expected to come up for a vote this week in the U.S. House, would make cuts to food assistance on top of across-the-board cuts to Supplemental Nutrition Assistance Program (SNAP) benefits already scheduled to go into effect this fall. 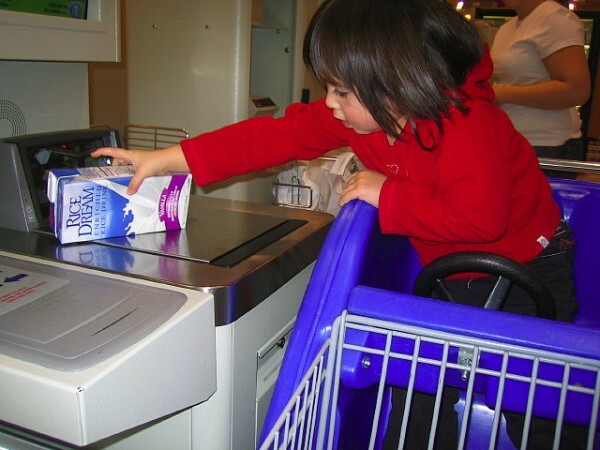 The Cantor-backed package would limit able-bodied adults without dependents to three months of food stamps in a three-year period unless they worked part-time or were in a workfare or job-training program. And it would end a provision, created by the 1996 welfare reform law, that allows states to give food stamps to people whose assets are larger than usually allowed. So, if you’re a dependent-free adult looking for a job and can’t find one in three months, you’re out of luck? And what happened to the Republicans’ fondness for giving states more power? Rep. Cantor’s legislation wouldn’t allow states to bend the rules in, say, times of prolonged or increasing unemployment, like Michigan is currently facing. But, hey, don’t blame the state leadership that isn’t creating jobs. Punish the poor instead! Even if your benefits aren’t cut entirely, you could be one of the 850,000 households expected to see a reduction of about $90 per month, as estimated by the Congressional Budget Office (CBO). When you’re barely getting by, $90 a month is an enormous amount of money. It’s bad enough that people who don’t receive food stamps or are subject to reductions will go hungry. Cutting food stamps also hurts the economy, because people can’t afford to buy groceries. Instead, they have to scrimp, maybe skipping meals altogether, to make ends meet. “The SNAP program puts dollars into the economy every day of the week,” said Linda Teeter, executive director of Michigan Citizen Action, on a conference call today with reporters. She’s right. People with less money to spend on food buy fewer groceries. It’s that simple. In Michigan, advocates for SNAP — Michigan Citizen Action, the Michigan League for Public Policy, Mothering Justice and MOSES — have joined forces to call on Congress to vote NO on cuts to SNAP, which will hurt vulnerable families, children, senior citizens and local communities. Instead, they’ll call on legislators to close corporate tax loopholes and make large corporations pay their fair share of federal taxes. I know, I know…this is the same battle we keep fighting over and over. Republicans want to protect their wealthy donors and apparently could not care less about the needs of the working-class Americans who buy the products that helped make so many of them wealthy in the first place. As a human being, what infuriates me is these Republicans’ utter lack of concern for humanity, for the needs of the poor who are doing everything they can to rise out of poverty. The majority of people who benefit from SNAP aren’t looking for a hand-out. And, frankly, if you want to talk about hand-outs, talk to the corporations that are taking millions in hand-outs — in the form of tax breaks and other financial finageling. As a taxpayer, what makes me livid is the fact that Republicans are doing everything in their power to drive the U.S. economy into the ground because Obamacare and President Obama are still here. Threatening to take food away from the hungry and shut down the economy because they don’t want to provide affordable healthcare to more Americans are two really good ways to do exactly that.